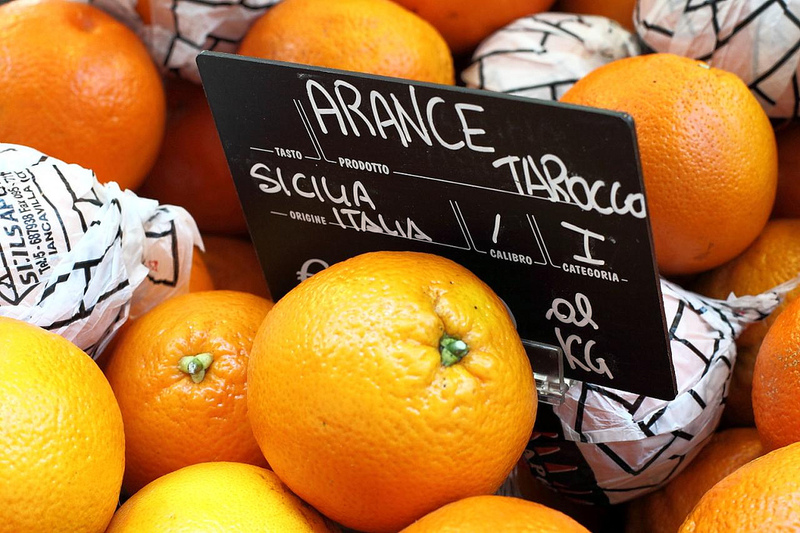 Shopping in Italy – everyday, boring grocery shopping – is an adventure. It can be frustrating, exasperating, and even dangerous (see point 2); but in most cases, it’s ultimately rewarding when you walk away, bags bulging with one of Italy’s finest products: its food. But whether you need to buy lettuce and tomatoes or sheets and light fixtures, prepare yourself with these handy tips before venturing out there. 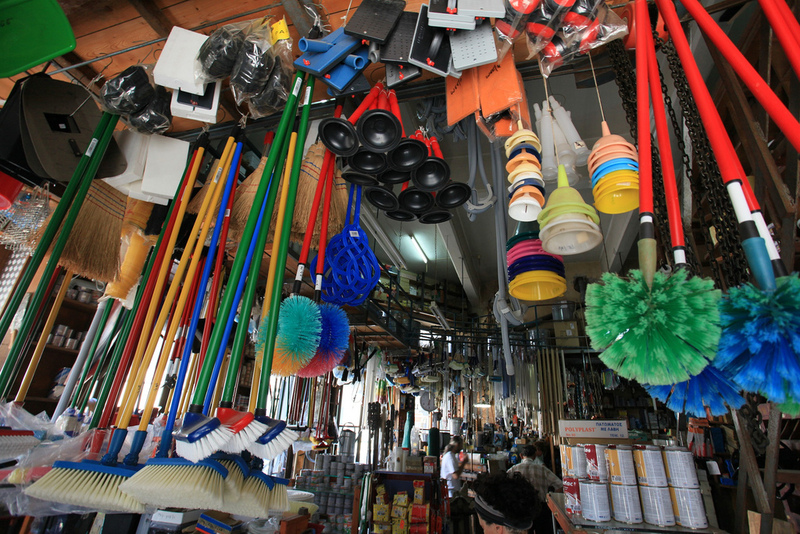 Instead, there are many little shops that specialize in: hardware, sewing machines, expensive office supplies, bronzing, cigarettes and birthday cards, fresh produce, doorknobs and drawer handles, Bedknobs and Broomsticks…you name it. Any Walmart aisle you see, there’s a store for that. 2. The market is where it’s at. The markets in Italy are nothing like farmers’ markets in the USA. First of all, you go to the market for the best quality at the best price. And you go armed not with plaid shirts and wicker baskets, but with patience and knee pads for when those Italian grannies ram you with their wheelie suitcases. I’m sure they’re sweet old nonnas at home, but you have got to stand up for your “place” in “line” (neither of which actually exist) if you want to buy something before dark. Here’s a piece of advice: if the vendor sees you were there first but you don’t speak up, he will first serve his customer who has been buying €25 worth of goods every Saturday for the past 25 years. And don’t be offended when you do speak up, and the nonna mumbles angrily and fixates you with her stink eye until you’re done. However, if you want the freshest produce, the best selection, strictly seasonal food, and awesome prices, don’t miss the market. And, the market sells more than produce; your average mercato will also have household goods, clothing, and other odds and ends. Plus, wherever you are in Italy, there will be a market at least once a week. 3. In every city, town, and street, the shop hours are different. The whole town might close down on Tuesday. They might take 3-hour lunch breaks. They might close at 10 minutes ‘til 7:00 pm. These have all happened to me. If you’re lucky, they’ll have the orario continuato – continuous hours. This usually happens in stores where you would expect customer service to be at the highest, like when the shopkeeper is getting a commission – in cellphone stores, for example (again, speaking from experience). You really appreciate the great customer service from “back home” when the shopkeeper doesn’t even look you in the eye in Italy. Oddly, going back home made me aware of how fake all those smiles felt. And it makes it all the more special in Italy when you experience a genuine smile, helpful advice, and willingness to answer even your dumb questions. You’ve found your pot of gold, and so has the shopkeeper – who has now won a new customer for life. 5. The locality of produce beats everything. Sure, you’ll find the occasional lemon from Spain and onion from France, but mostly, everything you see is from Italy. Finding produce from other European countries is like finding produce from a bordering state, anyway. And the quality is excellent. Then you’ll begin to find the Km0 markets, or the local vendors who come from 10 or 20 minutes away. You’ll start feeling pride in the apples that come from a farm near you, and start buying local rice at exactly the same price as the industrial stuff – and you’ll know that the money you’re spending is going directly into the pocket of the farmer. This is great, Diana. As usual, your witty, informative look at life in Italy makes for a fun read. Keep ’em coming! Thanks! Yes, I wanted to give a realistic look at some parts of living in Italy. I just can’t…I don’t…Why do they think that’s okay? I once collapsed in shock when a nonna graciously allowed me to keep my place in line, with a smile and all (you know how if you get out of line, people will automatically take it and not look you in the eye). To market, to market, to buy a [insert italian food item here]. Fortunately (or unfortunately if you’re gaming for the italian experience), I haven’t come across angry little grannies at the mercati. Here in Lecco there isn’t that much choice anyway (I was astounded when I found garlic scapes one year) so we just shop at the chain supermarkets like Esselunga and Auchan. Whenever we travel around Italy though, the weekly produce markets are the first thing I check out. I remember purchasing a whole bunch of fresh fave pods in Le Marche for cheaper than what I would ever have found up north. Whereas you check out the markets first thing, I’ll go straight to the supermarkets! That’s for traveling abroad, though. It’s fascinating to see what other countries consider their staples (and then of course I also check out the markets!). 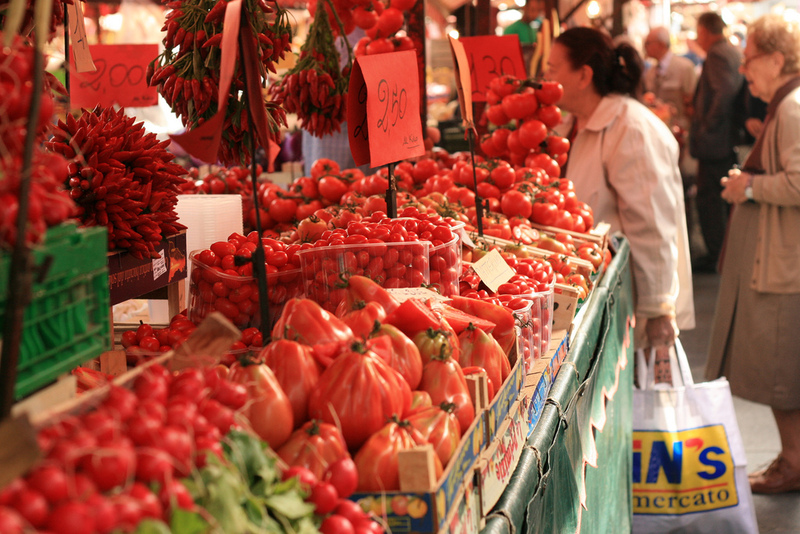 You’re invited to the market in Torino for a true nonna experience. Also, sounds like I’m dissing the nonni but I’m not! Just….in general in this situation they could be more polite. Oops…only now I’ve noticed your reply. My husband had already been living in Torino for 7 years when I first moved over from the states, and we lived next to the Gran Madre. I never bothered to check out the markets in Torino only because my husband liked to shop at Auchan or the little shops around the corner. Men! I guess it’s also part of the laid back culture. Eventually you will get your shopping done, but you’d better not be in a hurry to do so 🙂 We get this in Malta too, lines don’t exist, everyone cuts in, and expects to get served first (and they do), it’s whoever shouts the loudest here. It might be laid back for some, but it stresses me out! Great post. I miss Italy. And the great wine. Yes, Italy tends to have that effect on people. Just don’t let it get to you…or it will never let go and you’ll move here! Previous Previous post: Why do you write?